Poll Results: What Type of Concept will Lexus Reveal? 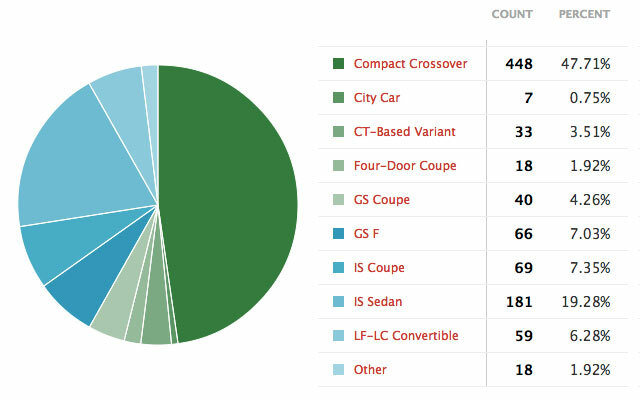 Supported by an Australian rumor and some dubious spy shots, almost 50% of voters believed that Lexus would introduce a compact crossover — in fact, only 7.35% of voters guessed correctly, as the LF-CC concept revealed today is almost certainly a precursor to an production IS coupe. One thing’s for sure, the level of secrecy before the LF-CC launch made for an exciting finish — thanks to everyone who voted! Marcus Wilby: Maybe they'll have more than 1 new model/ concept!